Clinical Commissioning Groups (CCGs) are NHS organisations set up by the Health and Social Care Act 2012 to organise the delivery of NHS services in England. CCGs are clinically led groups that include all of the GP groups in their geographical area. The aim of this is to give GPs and other clinicians the power to influence commissioning decisions for their patients. 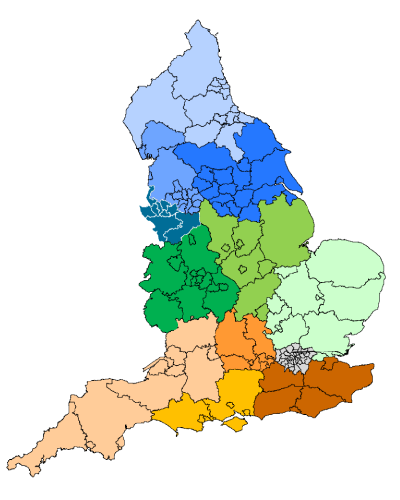 CCGs are overseen by NHS England, (including its Regional Offices and Area Teams). Click on the map below to view a page listing the contact details of the Clinical Commissioning Groups within a particular Clinical Network footprint.